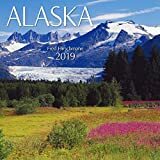 Fill your upcoming 2019, with 16 months of Alaska all year round. This beautiful calendar contains 16 months and 3 mini 2018, 2019, and 2020 year calendars. Ancient legends say the Northern Lights appear when the sky-dwellers light torches to guide souls to the heavens. Others say they’re animal or human spirits dancing or playing. Today we know the Aurora Borealis occurs when charged particles emanating from the sun interact with the Earth’s magnetic field. Still, we remain fascinated by these shimmering curtains of light. 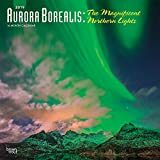 The Aurora Borealis: The Magnificent Northern Lights square wall calendar captures this breathtaking phenomenon with stunning photos, allowing you a fresh glimpse each month of brilliant displays of color and movement. 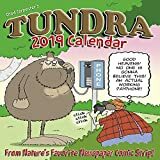 Tundra--the comic strip Mother Nature warned you about--is syndicated in nearly 500 newspapers throughout the U.S., Canada and Europe. 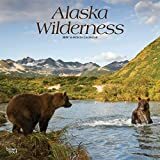 Chad Carpenter chose 12 of his favorite full-color cartoons, "hand-picked for funniness," featuring hilarious man vs. animal encounters in the Alaskan wilds. This large format, 18-month wall calendar features large grids with ample room for jotting notes, birthdays and appointments. 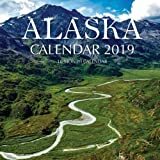 Also included are six bonus months of July through December 2018 as well as moon phases, U.S. and international holidays.